Team Combat LIVE is fully immersive Tactical Laser Tag experience that creates a video-game-like environment through integrated missions, props, lighting and sound. 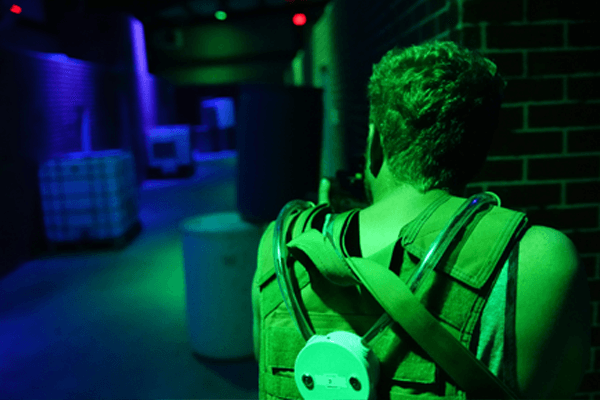 Team Combat is geared for adults and teens but can accommodate as young as age 8 years old and provides a realistic, scenario based gaming experience that exceeds guest’s expectations over and over again. Tap into the $46 Billion First-Person-Shooter video game market and provide a venue that gets people off the couch and INTO the Game. You’ll offer high-end, high-revenue birthday & bachelor(ette) parties as well as team-building events for corporate, youth groups, sports teams, scout troupes, etc. It’s an activity your guests will want to experience over and over!